These guidelines were compiled by the participants in the Kuala Lumpur Knowledge Management Roundtable, May 3 2017, hosted by Securities Commission Malaysia. Examine the organisation’s structure, and the distinct functions of each department. Get hold of the department business process workflows. Have preliminary conversations with management to sound them out informally on the idea, identify the pain points and business issues they are concerned about. Make informal observations of the current culture, business processes, and knowledge types being used in the business. Make sure you understand the culture of the organisation, the business environment and ecosystem, as well as current organisational change initiatives under way. Consider the best model of audit, and audit methods to use for that culture and situation. Identify key potential influencers, supporters, partners, naysayers. Speak with potential allies first (e.g. HODs of friendly departments) and socialize them on the knowledge audit concept, seeking their feedback on how it could be made most useful to them. Be clear on the objective of the audit, i.e. what we want to achieve, the potential ROI of the audit, the main issues to address, how it connects to and supports business objectives, who are our stakeholders, who are our sponsors, who are our target audiences and respondents. Consider what label you are going to use for the knowledge audit, appropriate to the organisational culture – (e.g. KM assessment, KM evaluation, knowledge audit, KM audit, knowledge mapping, KM needs analysis, KM planning exercise, etc.). Make sure you have sufficient resources to conduct the audit, scale the audit to your resources. If it is a discovery audit, be sure you have sufficient resources to pursue additional lines of enquiry if new issues come up during the audit. Determine the audit type, and the appropriate audit methods considering your objectives, your capabilities and resources and your organisation culture. Get formal support and buy-in for the audit scoping from senior management – be clear about the level of resources, participation and time required, from them, and from their people. Be clear about the need and benefits of a knowledge audit, the intended goals, desired outcomes, and guiding principles, and be clear about the importance of their role in implementing the recommendations when the audit is complete. Connect the audit to your understanding of the business strategy to show how KM assists the business strategy. Share examples of how similar organisations have used knowledge audits to produce business benefits. Ask them for a clear mandate and for their assistance in nominating the right participants in the audit. If it is a discovery audit, let them know that the activities may change based on issues discovered as the audit progresses. Define what outcomes you want from each step in the knowledge audit process, and identify risks to the outcomes, and mitigation strategies for those risks. Identify constraints that could impact the project plan – e.g. other organisational initiatives, annual cycles of events, holiday periods etc. If you are using an external consultant, identify potential candidates, and scope their work and role in the project. Define the requirements and deliverables. Make sure you have the resources and budget required. Identify the roles and resources required from your own team, and ensure they have the time and capacity to perform their roles. Identify the right respondents for your knowledge audit (based on audit type, and audit goals) – e.g. subject matter experts, department representatives, representatives of different types of staff (functions, levels, years of service). Come up with a detailed project plan and timeline, with major deliverables, completion criteria, all the way from initial communications and preparation to the implementation of audit recommendations. Identify the major focus areas to explore for surveys, interviews, focus groups. Design the data collection instruments and the workshops, as relevant. Invite the right level of staff – preferably 2-5 years of experience doing the job. Make sure their managers are informed of the invitations, or that the invitations are routed via their managers. If you can, get the main (senior) project sponsor to send out the invitations. Develop a communications package for all the knowledge audit respondents on their required involvement, any preparation, assurances of confidentiality (if relevant), what will be done with their inputs, etc. Communicate to all stakeholders and participants what the audit’s purpose is, what their involvement will be, and what the desired outcomes are. Provide briefing documents for each stakeholder/participant type and each major activity they are involved in – e.g. senior leadership, heads of department, subject matter experts, etc. Run briefing and awareness sessions for stakeholders and participants, on the plan. Prepare the logistics, materials and tools for the audit data collection activities. Consider the venues, and method of collecting data – e.g. recording, transcription, mapping tools, post-its and flip charts. For workshops think about well-lighted rooms, with plenty of wall-space, refreshments, and away from work emails and distractions. For interviews, think about the value of having interviews at the workplace where work artefacts can be pointed out or observed. Learn as much as you can about the participants’ job roles, major functions and work processes in advance of the audit commencement. Be open to using a variety of methods for collective sensemaking and data gathering: e.g. World Café, anecdote circles. Make sure the people who turn up are properly qualified to give you the data you need – if less experienced or more junior people turn up, go back to their bosses and your original mandate to ask for the right people. Be prepared to keep communicating the purpose, activities and desired outcomes, and to remind participants at every stage in the activity. They will not remember the big picture from one point in the project to the next. Provide handholding and coaching where required on things like mapping activities. For workshops, think of having a main facilitator to drive the whole workshop, and co-facilitators to coach and guide individuals or groups within the workshop activities. Have an experienced facilitator who knows how to deal with cases where participants give push-back and do not want to cooperate. Consider whether you might need an external facilitator/ consultant. Anticipate potential push-back (your initial sensing in the Framing phase will help) and prepare your responses. Document the issues raised by participants during the exercise. Maintain and open mind, and document issues they raise even if you disagree with them or think them unimportant. Use, video, audio, photos, note-taking, maps, mind-maps, transcriptions, etc. Be prepared to go back to them for clarifications on any feedback that is unclear. If creating knowledge asset maps, make sure the business activity and knowledge asset descriptions are documented clearly and as completely as possible. Make sure you validate their contributions back with them once it has been documented. Anticipate potential confusions or errors – e.g. 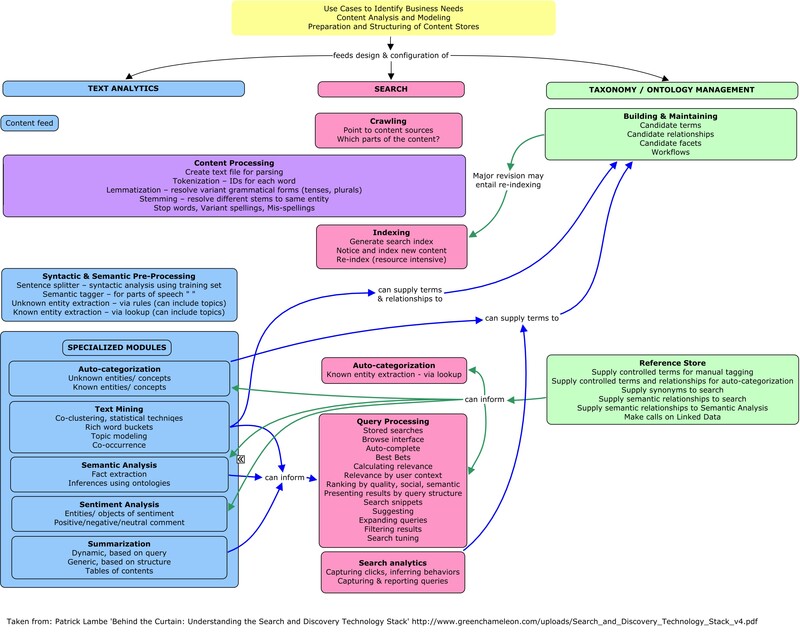 assuming that business activities in a knowledge map are the same as process flows. Try to provide for something of value in the audit activities that they can take back with them and use immediately – e.g. facilitating them towards an awareness of things they can address immediately before waiting for the audit close. This creates buy-in and will support the change management effort later when the post-audit implementation plan is ready. Try to include some elements of fun in workshop activities, as well as food and a pleasant environment. Be clear about what will be documented, how confidentiality will be handled, and make sure you maintain their trust by demonstrating your knowledge of their roles and work areas, and by sticking to the guiding principles and assurances given at the start. Be prepared to deal with sensitivities and doubts about how their input will be used, and what it is for, e.g. if participants do not like to acknowledge risks or gaps, explain the purpose, and adjust the terminology as necessary. Maintain a balance between being knowledgeable about their work (to identify pain points, focus areas and prepare probing questions, and to establish trust and common ground) and being naïve about their work so that you can ask naïve questions. Naïve questions often provide rich insights. Provide regular updates on the progress of the exercise. Be prepared to adjust your audit plan, to add or change audit activities and/or audit methods, to investigate new issues, based on the findings and observations during the audit. Analyse the data and prepare the audit report with observations and recommendations. Summarise the key messages and validate if necessary with key respondents. Substantiate findings with verbatim examples and participant inputs in their own words, anonymised if necessary. In your report, focus on the original audit objectives. However, make sure you document and maintain any findings or data discovered in the audit that may be of relevance in the future. Be prepared to produce supplementary reports in the future based on this data to address specific issues that may arise. Review the report with your own internal team first to make sure their insights into the audit process and findings are considered. Be clear about what you want to use the report to achieve. Determine the most important actions to be taken as a result of the audit, focusing on the most important risks, gaps and opportunities, seek senior management endorsement, and develop a detailed implementation plan, with a means of tracking and measuring progress and impact against the plan. Define tangible benefits that you can identify as positive outcomes from the audit. If possible, embed the action plan into the organisation’s annual strategic plan and workplans. Determine the best ways to present and communicate the knowledge audit findings promptly (a) to the participants (b) to the sponsor and stakeholders© to the people responsible for follow up actions and (d) to the organisation at large. Prepare a communications package for each audience and purpose. Consider a range of formats to communicate key points: written report, presentation slides, infographics, video summaries, promotional collateral such as calendars, mousepads, etc. If you have created knowledge maps, make sure you revisit them, refresh them and repurpose them continuously e.g. to track risks, opportunities and gaps addressed, identify and track new activities, as input to taxonomy, as inputs to departments on department level KM activities, etc. Don’t be afraid to keep going back to your data and redeploying it for new purposes. Let people see that it can be a constant reference tool. Do change management. Be prepared to provide continuous support and networking on the follow up activities. Provide tools and automation as necessary, with reasonable maintenance and support costs. Do please feel free to comment if you would like to add or modify any guidelines. “Automagicality” has been one of the banes of knowledge management, and specifically within that, understanding the technologies that go into an effective search and discovery experience, and how different technologies can be combined. Here’s an extended piece describing the elements of the search and discovery stack, and how they work individually and in concert, encompassing search, taxonomy management and text analytics for machine aided classification of content. I want to acknowledge Dave Clarke, Ahren Lehnert, Agnes Molnar, Maish Nichani and Tom Reamy for their insights and advice – though I take full responsibility for the views expressed here. Enjoy! 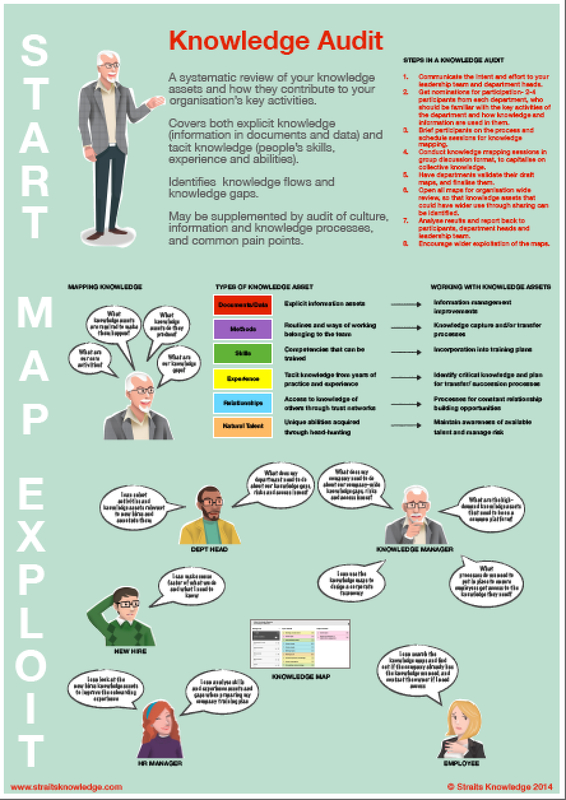 Here’s our latest infographic poster (formatted for A2 printing) on our knowledge audit process. We also have a video tutorial on the process here. Let us know if you have any questions! Download the full-size poster here (2MB file). The challenge in information environments is to get complete, accurate and consistent metadata applied to information and data resources. In this article co-authored with Maish Nichani we share strategies to collect metadata that lower the reliance on people in supplying metadata. We cannot completely remove people from the equation but we can prevent them from doing additional work, and focus the role of people on the value added metadata that machines and environment cannot automatically supply. View the article at PebbleRoad here. Download as a pdf here. Here is a poster design I’ve been working on for a while – it summarises the empirical, evidence based taxonomy development process we recommend. This is the link to an A4 pdf version. This is the link to an A3 pdf version. We’re going to look at costs/prices for printing this on high quality poster paper and shipping it if there’s a demand. Let us know! Here are some startup materials if you’re worrried about knowledge retention, rapid expertise turnover, soon-to-retire experienced staff, or anticipated expertise gaps. 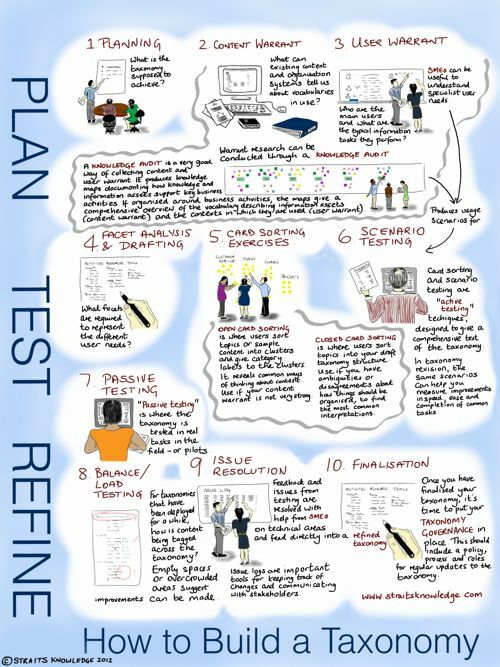 This is a 30 minute video showing key parts from an October 2007 workshop on how to put together a plan for an expert knowledge transfer programme. The materials for the workshop can be found here. And here is a short guide to getting started with an expertise knowledge audit, to help you figure out where the critical (and vulnerable) areas of expertise and experience are. 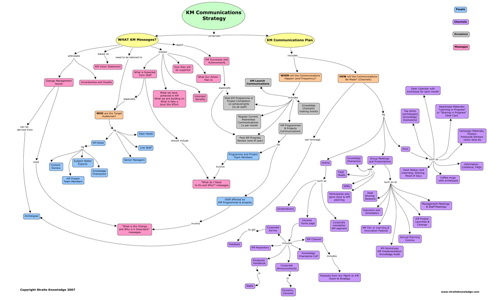 This concept map catalogues all the elements of a KM communications strategy that we’ve found useful, with some ideas for messages, media and audiences. Download the pdf version formatted for A3 size printing for easier reading! When you want to introduce new information or knowledge management practices and habits in an organisation, it’s usually a good idea to make sure that your organisation’s policies reflect the things you want to happen. This doesn’t mean that the policies do the work of implementation and change management for you (ie you can’t just issue a policy and then sit back and wait for magic to happen), but they support it by capturing (hopefully) in concise language what you’d like to happen, so that everybody is operating from the same point of view. With Marita Keenan last year, I co-authored a guide to knowledge and information management policy development. We always recommend to our clients who are developing or revising their information and knowledge management related policies to go out and look for examples of good practice on the internet. There are lots of them out there, especially in public sector organisations hailing from Canada, Australia and the UK. The examples will give you good ideas, and if you look at a few you’ll get a sense of all the different factors to consider. Some months back one of our clients came back to us to say they were developing an information sharing policy and hadn’t been able to find any such examples. On searching for exemplars myself, including via the actKM public forum, I realised that there is very little concrete and specific guidance on knowledge and information sharing behaviours – which is strange, I find. Most of the material out there is either issuing generic feel-good statements saying that sharing is good and a policy should be developed, or stipulating the conditions in which information should not be shared ie as a disguised information security policy. So I sat down to write a draft version myself. The contents of this document cover all the main principles and guidelines for effective sharing (I think), but I’m hoping you, the readers will give feedback and point out any factors I’ve missed. I have written the document as if it is part of a suite of sub-policies sitting under a generic knowledge and information management policy and using a formal policy template (see the guide Marita and I wrote for an example of what I mean). Ie, this is not a complete Knowledge and Information Management Policy – it just relates to sharing of information and knowledge. It’s also written very formally to express what needs to happen from an organisational point of view. I wouldn’t recommend this as the communication form of the document for ordinary members of staff! Those provisos aside, all feedback welcomed. A last reminder: the policy alone does not remove the need for active interventions to change a culture positively! I would like to acknowledge the help of Mark Gould, Mark Schenk, Jack Vinson, Alan Dyer, Neil Olonoff, Stephen Bounds, Nigel Phillips, Matt Moore, Patti Anklam, Marita Keenan, Peter Hobby, Mark Rogers and Christopher Zielinksi who all made suggestions or contributed samples via the actKM Forum in June 2007, and Dave Pollard, whose June 2005 post on corporate blogging policy I found both practical and inspiring.